The envirosep Model HTU, Heat Transfer Unit is a manufactured unit featuring an ASME shell and tube heat exchanger with U-tube configuration. 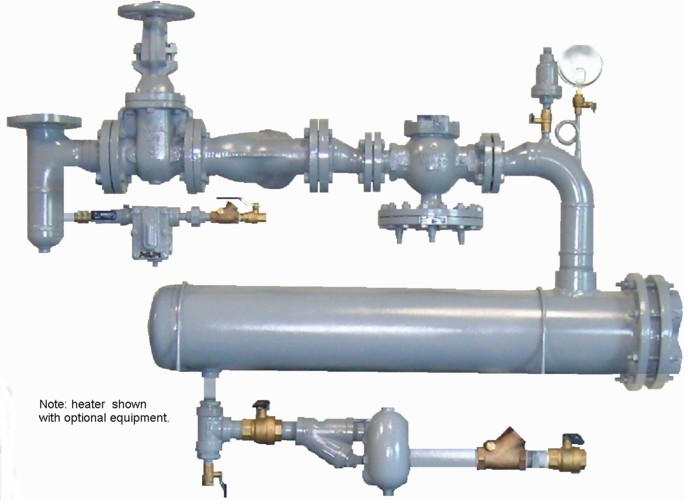 The envirosep HTU is a complete unit including a steam control valve, inlet steam Y-strainer, and steam trap. 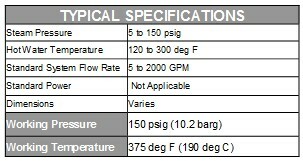 Each unit is custom engineered and designed to meet specific system requirements. All systems are fabricated and welded per ASME Section IX Code and Standards, and are hydrostatically tested prior to shipment.